I'm not a big trend watcher, but if you're paying any attention at all, it is hard not to notice the number of fragrance houses jumping on the "luxury" (e.g., expensive, exclusive, limited distribution) bandwagon this year. We started with the Chanel Les Exclusifs, which are now looking more and more like a bargain at $175 a pop. Then we had, well, let's see how many can I list — Tom Ford Private Blend, MDCI, Yu by Mane, Estee Lauder Private Collection Tuberose Gardenia, By Kilian, Guerlain Quand Vient La Pluie, Thierry Mugler Angel La Part des Anges (and the upcoming Thierry Mugler Miroir Miroir). I'm sure I missed a few. L'Artisan (the Harvest series), Hermès (the Hermessences), Giorgio Armani (Armani Privé), and Givenchy (Les Millésimes de Givenchy) got started earlier, and all have new releases this year. Creating a luxury product that purports to emphasize quality and integrity over mass market appeal seems a natural way to stand out from the pack at a time when the market is virtually flooded with product. But when the market gets flooded with luxury, what then? And when you've smelled enough "luxury product" to know that the ambitious pricing is often all that sets it apart from its competition, well, it is hard not to be cynical about "luxury". So I was very sorry to see my beloved Comme des Garçons launch the Luxe series. I'd already begun to suspect that the glory days when the Comme des Garçons fragrances were as avant garde as the fashions were on the wane, but still, this is a blow. Champaca, as it turns out, is a nice fragrance. Really nice. It starts out bright and clean and peppery, and as it dries down, the florals get creamier and richer (the notes are champaca, white pepper, angelica, bird pepper, cardamom, tuberose, white musk and iris). The base is warm and musky, and quietly spicy, with just a tinge of sweetness. The lightest little dusting of iris renders the finish smooth but not quite powdery. Perhaps a man could wear it, but it is more obviously feminine than one might expect from the Comme des Garçons line. The overall effect is of modern restrained elegance. Champaca would fit nicely into the Armani Privé line (where it would have been a better match with the packaging). That I don't want modern restrained elegance from Comme des Garçons is, I suppose, my own problem. Perhaps I take context too seriously. I will say that Champaca is easily my favorite Comme des Garçons scent in a very long time, maybe even since the Incense series (2002). Anyone who demands a bit of a "wow factor" from a fragrance of this price, however, might well be disappointed. For a "wow factor" champaca, you'll need to turn to Ormonde Jayne, and for real luxury, Jean Patou's Joy can be had in extrait for less than $300. Comme des Garçons Luxe Champaca is available in 45 ml Eau de Parfum for $265. You can buy it in the pyramid bottle shown above, or in a much plainer black glass cube bottle. For buying information, see the listing for Comme des Garçons under Perfume Houses. Frustrating, isn't it? If these Luxe scents had been put out by, say, Frederic Malle, at standard Malle prices, we'd all have been rushing to buy. They fit that kind of aesthetic, too. But CdG is about cheek and fun – the pyramid bottle is trying to be appropriately odd in the CdG way, but that doesn't go with a juice this expensive. I really like both of these, but to pay that much? For a Comme des Garcons in a novelty bottle? (Or worse, a boring black cuboid bottle.) Cognitive dissonance, that's all. Cognitive dissonance, exactly! And it isn't just that the pyramid bottle in particular doesn't go w/ a fragrance this expensive, it simply doesn't match the aesthetic of the scent itself. But have to say that I won't pay FM prices either…the only reason I own any FMs is that I can split travel packs or cadge minis. I am really cheap, and the longer I'm in this game, the cheaper I've gotten. I love Ormonde Jayne Champaca, and you make the fragrance sound really nice (and I think I'm a bigger fan of the Armani Prives than you are). But $200 seems to be my new choking point; above that and the earth has to move. It can't just be about the brand, and it can't just be “really nice”. I expect I'll wind up with a sample of this at some point, but the price (even for a fragrance nut) seems absurd. I'd be a much bigger fan of the APs if they didn't cost so much. I do think they're nice, just not *that* nice. I mean, there are so many scents under $200 that make the earth move! Must add that I forgot that the APs are $185. Only $185, LOL…still, they're twice the price of the Hermessences (since they are half the size), and that seems a little silly. I really don't know if I was delighted or disappointed after I tried these. I *love* that pyramid bottle, so even though they are ridiculously priced, I thought I might actually fork over for one of them. But it's not going to happen. On my skin Champaca was moderately pleasant at the start, but then took a nose dive in the direction of a floral soap. It's probably just my skin chemistry, but even if it hadn't gone that direction, I honestly don't see it being worth the price. The Patchouli was quite nice, but, again, not remotely unique enough on my skin to justify the price – great packaging or not. I'd pay up to $200 for the patch just on the basis of loving the bottle and patchouli scents in general, but $285 is absurd. However, should some random oligarch want to give me a bottle, I'd very happily accept. They used a very clean musk so can see the “floral soap”. I would have rather seen something a bit skankier (& riskier). Not a patch person so not qualified to judge, but will be curious to hear what more patch fans think of it. My take on it was very like yours. And good luck on that random oligarch! I was really taken by the Patchouli. It reminded me more than anything of Borneo 1834, which I love. It wasn't ground-breaking in any way, but for a lover of smooth, rich patch I thought it was deeply satisfying and very wearable. I thought both of them were very easy to wear, which is not always the case with CdG. I'm horribly tempted. £140. Chain me to a table, someone. HA — is there a table strong enough to hold you? You sound like you're going to buy! Wal-Mart is coming out with a line of expensive stores, L' Exclusif WalMart. Marshmallows are pale gray and cost $45 a bag. HAHAHAH! I used to love CDG, and I love champaca fragrances, but this is one of those privileged, snotty moves that wants to make you think if you spend a ton of money you are in the know. No. LOL — wouldn't put it past them! But if you love Champaca, do at least give it a try. Maybe you'll think it is worth the $$. I was just thinking the other day, those Les Exclusives are CHEAP, why did they seem so expensive before? LOL Jaded, jaded, jaded. But I mean, seriously, 200ml of No 22 or 50 ml of some Kilian for way more money… mind boggles! Exactly, they look underpriced now! But if we're really getting the stronger concentrations as rumored, it will be interesting to see what they charge for them. And hate to remind you, but the Patch is even more — $285. Am I the only one who thinks the cube bottle is impossibly boring (and also done, by the Gap and Byblos Homme, among others), while the pyramid bottle is exceedingly ugly? Just me? Okay. But I wouldn't buy either of these if their contents smelled like the gates of Heaven, which, I gather, they don't. Nope, I'm with you on the bottles. Although the pyramid bottle might have struck me as campy rather than ugly at a different price point and with a different sort of juice. If I were buying, I'd take the cube. The Patchouli really might be the gates of Heaven to a patchouli lover — I'm not qualified to say. The Champaca is a great scent, but not “gates of Heaven” great to my nose. I'm in love with Ormond Jayne's Champaca. One outrageously expensive perfume (plus overseas shipping) per genre for me! These so-called exclusive fragrances are being sold e v e r y w h e r e on this planet !! Every good store in Japan, Gulf States, Middle East, Russia, Europe, Latin America, Central America, The US and Canada, has them. Millions and millions of these 'exclusifs' are waiting to be sold. So how exclusive are they really!? If anybody wants a truly exclusive perfume, then maybe it is a good idea to contact ones' favorite Nose and let him or her design a very special personal scent.. The bottle will be simple but it's all about the beloved juice… or is there something that I don't get? To me this 'exclusive business' is all about merely selling a very expensive not so superspecial illusion. Sorry I'm being harsh, I know. p.s. : forgot to mention Asia with China as a huge customer of luxury products. This past summer when I was The Cote, fr, I saw three bottles of 'Quand vient la pluie' displayed in the window of a nice store in a little mall. These bottles were not even displayed on black or blue velvet but just on a shelve with a big matching poster. Considered of trying the juice then but decided to wait until later back home. Had absolutely no idea that Quand vient la pluie was so expensive.. Grasse was less than an hour drive away.. p.p.s. 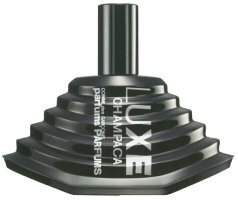 : had a look on the Frederic Malle website and their truly fabulous perfumes do not cost as much as the 'exclusive' ones that appear on the market these days. sorry again, couldn't help myself.. So glad to see you comment on this. I've 'dropped out' completely from buying big ticket niche stuff now. if it's over $100 US for anything less than 50 ml, I won't buy it without a 'think time' of at least 6 months. I appreciate that quality ingredients cost, but is someone seriously going to tell me that MDCI stuff is anything less than 75% markup? I'm not really sucked into the exclusive marketing hype anymore. As a matter of fact, I often found in my huge collection heyday that I spent more time hoarding and dusting bottles tucked away in their boxes in a closet than wear anything. Now I have about 10 or so bottles at the moment, mostly nothing very pricey that I can score off ebay or discounters, and they sit happily on a pretty tray – out in the open! – where I can easily grab and spritz each a.m. I find I am enjoying my hobby much more now than in my hoarding days. I would imagine a backlash will come eventually, the way it's well overdue for the luxury product market in general, and maybe we'll even out for a period again where you get 'real' luxury stuff being able to maintain its place while everyone else just goes bust or adapts. But, I suppose that's the natural ebb and flow of capitalism, right? I think she has now set up her US website w/o local shipping (?) I need to check that, but I thought it was supposed to be up by November. You could be right, but honestly I don't know if the markup at the smaller lines like MDCI is any worse than elsewhere. I wouldn't be surprised if it was less — it can't be cost efficient to operate on such a small scale, right? Know what you mean about dusting the bottles, and waiting 6 months is a really good idea. No, they really aren't badly priced as a line, and I do think they are “worth” more than many/most of the newer luxury niche lines. I just won't spend that much personally. oh, of course not – I use them as an example because I was pretty appalled at their – what was it? $400-$600 price points. You can sort of sell me on higher prices with more juice, like the Les Exclusives, but $600 for 60 ml of anything boggles the mind. And yes, on the flip side, Guerlain's recent – was it $300? for those tiny ouds? was a bit surprising. of course, if you love it and have the money, go for it, but increasingly I have the feeling of being taken for a ride more than paying for a luxury item (and there's probably always a bit of that involved anyway). Can't argue w/ that — they are hugely expensive! But they're selling that fancy bottle mostly, aren't they? I tend to think of that as oriented to a completely different market than perfumistas, although I could be wrong. Heard the Guerlain oud things weren't much good, but never tried them. Forgot they were that much $$! Perhaps a naive question, but I am still a relatively new fragrance nut: on the subject of a legitimate price/quality ratio, would anyone say that the Armani Privee Encens is clearly *worth* $225 Cdn for 50ml? I love the stuff, but. . .
No, the Armani Private Stuff is n o t worth that kind of money. I would answer that question slightly differently. I would say that if you have already smelled it, and (preferably) even worked through a decant, and after five months you think it's amazing and you can't live without it … well, then, it's worth it. I would say that of any perfume you have fallen in love with; if it makes you happy and you'll wear it regularly, why not? I am not sure there is any way to evaluate a “legitimate price/quality ratio” unless you're a) a perfumer and b) know the overhead regarding a particular fragrance and the company overhead behind it. OTOH I haven't checked recently, but I thought the Canadian dollar was trading close to par to USD? Did that change? At par(ish) it should be less than $200. Thanks for the helpful reply. Quite so. Legitimacy is in the eye of the beholder (nose of the perfumista?) and all that. I've got my decant so will give it the five-month test. Yes, our dollar is strong right now, but our cagey retailers tell us they bought stock before the increase and so have to sell at an unreduced price. Sigh. . .
Tom, not many people chiming in here today for the Patchouli, but I've seen positive remarks elsewhere. On the Champaca, way fewer. Hi Robin, if you want it badly, love it to death and you have the cad's, then go for it and buy it! What scents are worth is of course a relative concept. Also want you to know that I love the bottles of the Armani Private Collection even better with the matching little candle holders. With the Euro versus the USD prices of products from the US should be pretty low right now, but there is some 'legal' construction which makes us consumers from overseas still pay the same amount of money for stuff. The People in Brussels are working on that but it will take some time to change it. Maybe Canada has the same unfortunate arrangement? Speaking of spending money: I want to buy Un Jardin en Mediterranee and Un Jardin en Nil, rather today than any later day but I have to wait, have too many other things on my list that have to come first. What is a decant?? It that a sample/small tester? Yeah, R. I dunno. Money IS a bit of an object for me. I like the idea of waiting to see if I still feel the same in five months. I can be a bit of a junkie that way; once I've got it, I'm no longer desperate to own it. I'm so ashamed to admit that!!!! !